How Often Should I Change My Bed Sheets? Your bed is a place for relaxation, rest, and sleeping. Since you spend about one-third of your entire lifetime sleeping, don’t overlook the way you keep your bed clean and inviting. No matter how much you spend on bed sheets, there are plenty of reasons to stick to a cycle of cleaning your sheets. 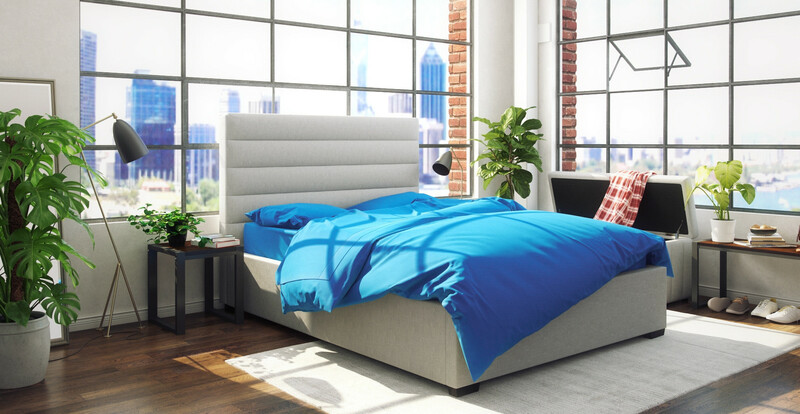 Sleep in bed without worrying about bacteria, fungus, and even harmful microbes by following a cleaning cycle for your bed sheets. So, how often should you clean your sheets? One-third of your lifetime spent sleeping is a natural part of life. Regarding your bed, this means you spend 56 hours a week sweating in bed, losing dead skin cells, and even leaving behind body oil. This is a natural part of life – but it does not mean you need to sleep in your funk. The average person produces about 26 gallons of sweat in bed during one year. The moisture in your bed, created by sweat, becomes an ideal place for fungal and bacterial reproduction. These bacteria can get into your body and cause disease. The average bed has microbes from pollen, lint, dust mite faeces, skin secretions, dead dust mites, pet or animal dander, and more. Sleeping with bacteria causes flu-like symptoms. Do you eat in your bed? Food crumbs attract bugs to your bed. Even small particles of food are a treat for pests. 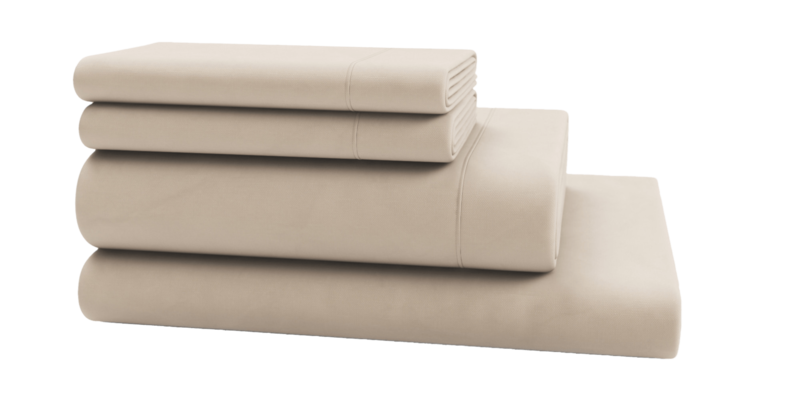 Gravity draws dust and fibres from your ceiling and the surrounding area onto the surface of your sheets and comforter. Sleeping in a bed full of dust mites causes reactions, even in non-allergy sufferers, like eye irritation, coughing, and wheezing. How Often Should You Clean Your Sheets? There is no one straight answer for the frequency of cleaning your sheets. If you get into bed after showering and do not have any pets, washing once every two weeks is acceptable. Once weekly washing is recommended for sleepers with pets, allergies, and other habits. As a general rule, don’t exceed the two-week mark. When in doubt about washing your sheets, just go ahead and do so. It is better to sleep in a clean bed than worrying about your health. Keep your bed clean and comfortable by washing your sheets at least once every two weeks. A tip for bed sheets is to have more than one set for your bed. This way, you can refresh your bed and wash your dirty sheets within the next few days. When it comes time to wash and dry your sheets, the proper technique cleans them thoroughly, preserves colour, and kills microbes. Although it seems as simple as throwing the sheets in the washing machine and walking away, you might not be entirely cleaning your sheets if you don’t follow these instructions. Step 1: Load the washer with your sheets, but don’t put anything else in the machine because sheets need space to move and get clean. In cases where you must wash something with your sheets, just throw one small item in with it. Always wash your sheets alone before you use them, in case they lose any colour. If you have a washing machine that loads from the top, don’t wrap the sheets around the agitator because your sheets could tear in the cycle. Step 2: Wash your sheets according to the washing instructions on the label. 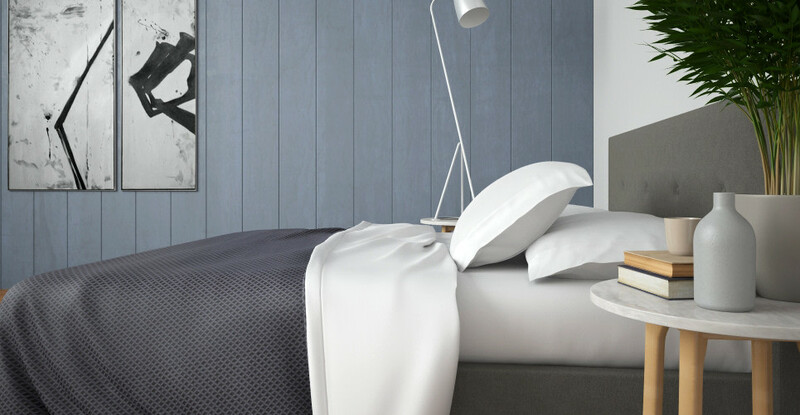 Cotton sheets are simple for use in any cycle. In general, hotter water is better because it kills germs and bacteria. Make your selection based on the amount of soil on the sheets. Don’t be too rough with them; otherwise your sheets are sure to wear out faster. Step 3: Select the water temperature listed on the sheet’s care instructions. As a general rule, lighter sheets do well in any temperature, but darker colours need lukewarm water to prevent fading. If any person in your household has the flu or it is flu season, always select hot water for the wash cycle. Step 4: Pre-treat stains on your sheets, or use colour-safe bleach for a deep clean once every few cycles. Test a few products for your personal preference on effectiveness, smell, and ease of use. Add detergent to the washing machine according to the instructions on the detergent bottle. When it comes to soap, more is not always better since too much can leave stains or residue on sheets. Step 1: Follow the drying temperature listed on your sheets. Drying at too high a heat can cause shrinking and wrinkling, and ages the sheets rapidly. Step 2: Set your sheets on the “less dry” or “damp alert” setting on your dryer. This prevents over-drying, which ages the sheets quickly. Step 3: In cases when your dryer isn’t large, add wool dryer balls to the appliance during the dry cycle. Wool dryer balls keep the sheets free of wrinkles and tangles, and promotes even drying. Step 4: Another option is to ditch the dryer and use the outdoors to your advantage. Drying your sheets outdoors saves energy and gives them a scent you cannot replicate. The fabric might feel a bit rough, so toss them in the dryer for ten minutes to soften the material after drying outdoors. Since you spend one-third of your life in bed, why not spend this time in a clean bed? Stick to a washing schedule for your bed sheets. A solid routine that follows an effective wash and dry cycle will make all of the difference in your daily life.